« I Have a Newsletter! One of the things I love most about fall is apple picking with the family. And every year we say we won’t fill the bag. Then every year the bag of apples is overflowing by the time we get to the car. I usually have plans for what I’ll make and start right away. This year I didn’t know what I wanted to make, I just wanted the apples. We ate a bunch of them, and they were de-lish! And I made apple butterscotch cookies… super de-lish!! But I still had a handful of apples to use before they were too old. 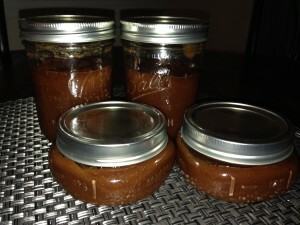 So I decided to make apple butter! The apples, sugar and spices in the crockpot about 2 hours in. I found a few recipes online and sort of made my own recipe out of that. It turned out a little more “fall spice” than I wanted, but it is so good! It smelled like fall the in my house the whole day! 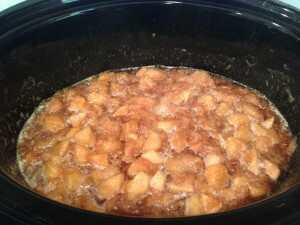 I decided on a crock pot recipe so that I could still write while I cooked. The crock pot is my writing friend. It allows me to feed my family scrumptious meals while also allowing me to get my word count. 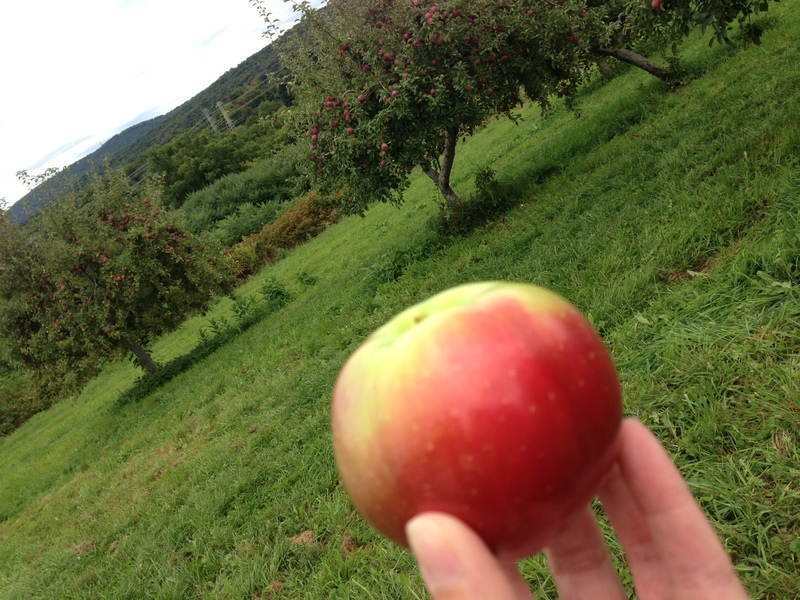 Which I did yesterday… 2000+ words… on my new foodie romance, yet-to-be-titled. 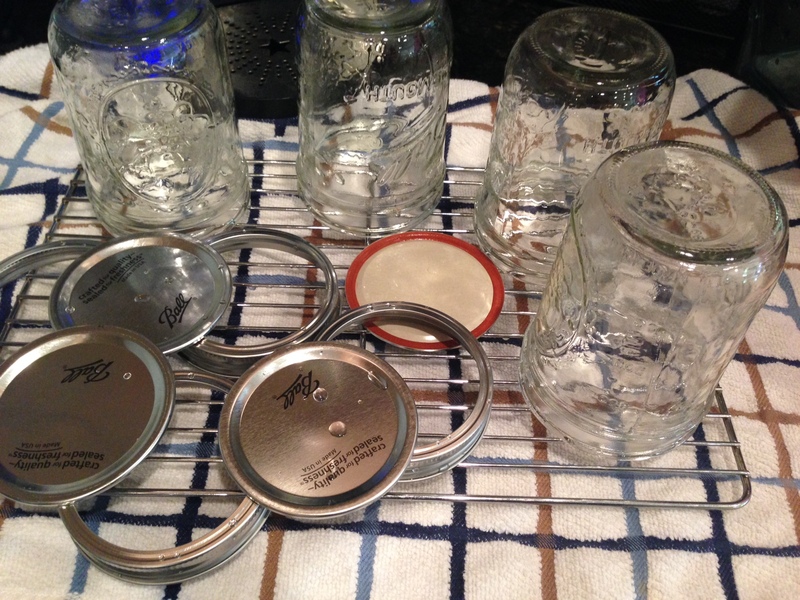 My jars and lids drying after their 10 minute boil. 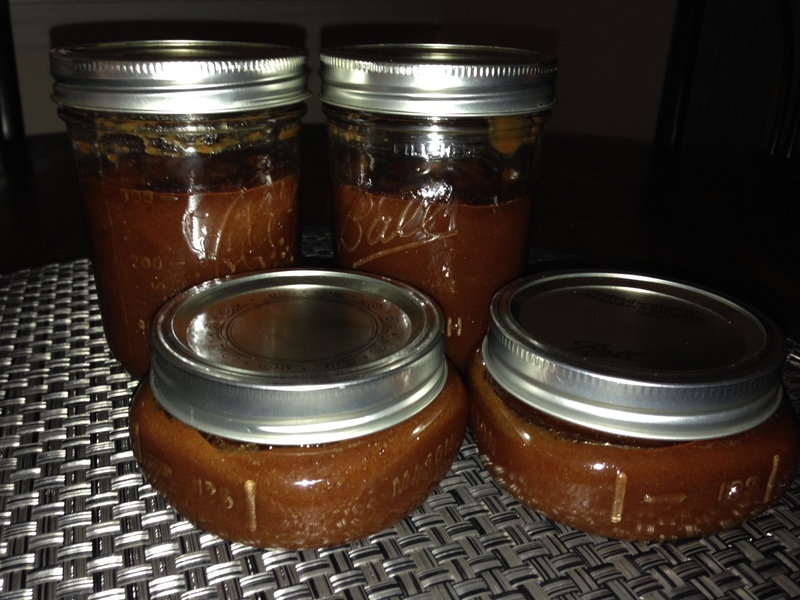 Then it was time to prep the jars I would eventually package my apple butter into. 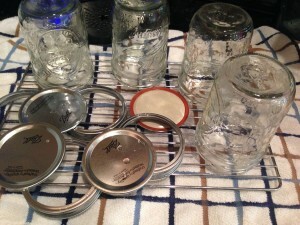 So I looked up how to sterilize jars online and got to work. It really wasn’t hard. Just boil them in water for 10 minutes, apparently. Or at least, that’s what I read, so that’s what I did. Let’s hope it’s right! LOL. In their water bath after processing. 12 hours later, stirring every so often, where in I took the kids to ballet, fed them, went on date night with hubs to see Gravity (awesome BTW! ), and grabbed dinner, it was finally ready!!! I blended it all with an immersion blender to make it nice and creamy, then filled the reheated, sterilized jars, put the lids on and back into the boil they went for another 15 minutes. Now I really wasn’t sure how long to process them for since I couldn’t seem to find that info. So I took a guess. The good thing about this recipe is that it didn’t have to be canned at all. I could have just put it in jars in the fridge or freezer and been done with it. 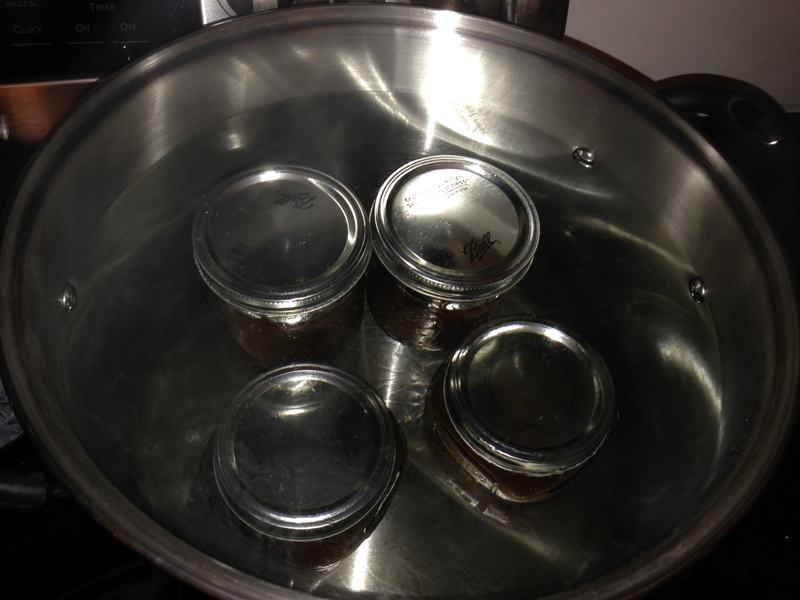 But I figured I may as well try canning since if I did it wrong, the apple butter would still be totally edible. This morning, I came downstairs to find out if my jars had sealed properly or not, and they did! I did it! I actually canned something! I feel so accomplished! I’ll totally make this stuff again, only next time I’ll use more sweet stuff and less spices. Yum! 1. Peel, core and cut apples into chunks. Put in crockpot. Drizzle with honey. 2. Mix sugar and spices in bowl until combined, pour evenly over apples. Toss together until apples are coated. 3. Cover and cook on high for 1 hour. Reduce to low and continue to cook about 9 hours, stirring occasionally. 4. Remove lid and cook on low another hour or until done. 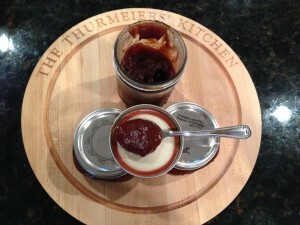 Test for doneness by putting apple butter on a spoon or saucer and wait to see if it separates and ends up with a puddle of water surrounding it. If not, it’s done. 5. Blend with an immersion blender. Put into jars to store in your fridge or freezer or can to keep for longer or give as gifts. I am so glad that it worked for you. 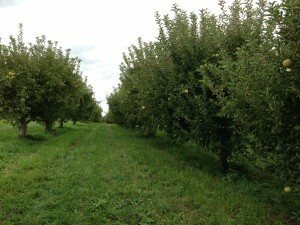 I may not want to do the work but I definitely love to go and pick apples and have apple butter on my toast. Have you tried Peach and Pumpkin butter? Both are those are just as delicious.